When pets become suddenly or terminally ill, their owners can find themselves in a difficult and emotionally painful situation. Luckily, with a healthy animal, you may only incur an annual or bi-annual bill. Still, vet costs aren’t cheap. Americans were reported to over 18 billion in 2018. But for those who own a pet with cancer, chronic diseases, or who suddenly experience severe, life-threatening situations (such as being hit by a car or attacked by another animal), vet bills pile up, and fast. The major reason dogs are surrendered to shelters is due to an owner’s inability to financially support them, and of that number some form of health condition is present. However, if you didn't plan enough and have no pet savings account, there are several other vet care financing options you can explore to help your veterinary bills. While some veterinarians are more open to payment plans than others, simply asking the front desk if it’s something they would consider could mean the difference between crumbling debt and manageable bills. If your dog has been a patient at the vet's office for several years and you’ve never had issues making timely payments before, chances are the administrative staff may be willing to make an exception. Typically, a vet care payment plan will request payments from you every month and some staff may create a nonnegotiable cap, meaning you must complete the payment in full within X number of months. A lenient plan would be based on a 12 to 24-month plan, whereas a stricter one may be a 2 to 4-month, with a majority of the cost being paid initially. If the staff aren’t open to a payment plan, try to understand the costs of medical equipment and daily operations. While a lengthy receipt is stressful, especially when it comes to the health of your dog, there are other financing options left to explore. If you already have a credit card and are in a situation that requires urgency, it’s in the animal’s best interest to give the veterinarian and their staff your approval right away. Worry about the interest later. However, if you have some time then take advantage of it by shopping for credit cards with low-interest rates. There are even credit cards created specifically for pet care which may cover such routine necessities as dental cleanings, annual examinations, prescribed medications, and microchipping. If you have good credit, you may want to consider a personal loan as their interest rates are based on the applicant’s credit and they offer a more lenient timeline, allowing you years to complete repayment. These may be especially helpful if your dog needs an emergency procedure because personal loans can be approved in as little as 24 hours. While this option may only work if urgency isn’t an issue, crowdfunding has become a reputable resource to our internet-savvy community and there are several websites that allow you to make a page for free and within minutes. Include photos of your dog as well as photos of your vet’s bill statement for added transparency. Once you set up a page, you can easily share it to Facebook where it can be forwarded, shared, and potentially go viral. Even without extensive shares, your page will at least be seen by your friends on Facebook, many of which probably include your close friends, neighbors, co-workers, and family members who are more likely to know your dog and donate. Soon, if even just those closest to you in life gave $5-$10, you could be on your way to affording proper care for your canine companion. Many individuals and families utilize pet insurance. These plans can be applied for through major insurance retailers, so the likelihood that your current house or car insurance provider has a pet plan available is high. Yet organizations such as ASPCA also offer pet health insurance to owners that qualify. Your dog is suffering a chronic illness or condition and needs continued care for procedures that are extremely expensive and/or frequent. Your pet is relatively healthy and needs care only once a year at their annual check-up, but you’re not financially fit and need help paying for vaccinations, routine examinations, and preventative care. Your pet is relatively healthy and you’re in a good place, financially, but you still want coverage just in case something happens that requires a $1,000+ vet bill to be paid. You will be required to provide their medical history so animals with chronic conditions may have a hard time finding coverage. Senior dogs generally have higher premiums as well. In general, you can expect a plan to “grow” with the dog. Meaning, as they get older and more prone to illnesses and issues, their policy will adapt to be more expensive. With higher deductibles, say $750, you’re less likely to receive coverage on a vet visit that doesn’t exceed that amount. 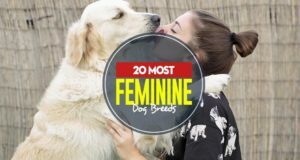 Additionally, breeds known for health issues, such as hip dysplasia (Great Danes, German Shepherds) or glaucoma (Greyhounds, Beagles) may experience prejudice even if they have no signs of early development. 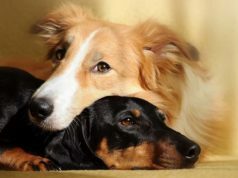 Good news for mixed breeds, though: under most plans, purebreds are more expensive to cover as mutts are less prone to inherited conditions than their full-blood counterparts. 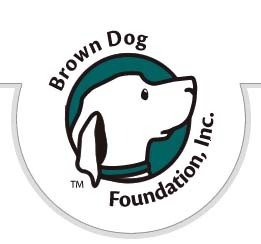 There are hundreds of organizations like Brown Dog Foundation and others that understand how difficult caring for a pet can be. Often, these groups are bound by a common goal: help families save their four-legged family members from suffering, diminished quality of life, and/or in severe cases, from death. The staff specialize in reviewing applications, letters, e-mails and phone calls they may receive from desperate pet owners in a bind. While it may sound cold or in bad taste, emphasizing the severity of your pet’s illness will more likely gain interest and potential funding for this monetary and emotional burden. Typically, pets with a good prognosis are more likely to gain financial backing. 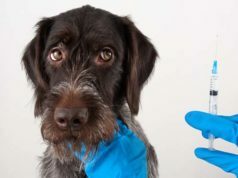 Documentation from your dog’s veterinarian will be requested, which is likely to include in-depth look at the diagnosis, treatment plan (including its success rate), recovery timeline, and expected quality of life for the dog post-procedure. A quick Google search will often reveal breed-specific institutions who may be willing to help you and your ailing pet; however, you can always contact a local shelter and ask if they work with any specific organization they’d recommend, too. Perhaps your furry friend isn’t going through a major or life-threatening issue, but you’re struggling to afford them proper care. Non-profit organizations like PAWS (Pets Are Wonderful Support) work to help low-income families give their pets the best quality of life by fitting the bill for everything from microchipping, routine vaccinations, and spaying or neutering. With proof of income provided, you may be eligible for a $200 grant from RedRover if your request is for a single, already spayed/neutered dog, that has not yet undergone the procedure you’re requesting financial help for. What role do they play in the constructs of your home and family life? When did they become ill? How long have they been ill? Is there anything else going on in your life that’s adding to your financial burdens (job loss, supporting dependents, an illness of your own)? If you or someone in your family unit is active military, look into Dogs on Deployment and their Pet Chit Grants which have helped countless military families do everything from move their pets around the world when their family is assigned a new base to fund 100% of a pet’s medical care. Additionally, your dog’s medical issues may help you qualify for help from organizations who aid specific conditions. Both the Magic Bullet Fund and Paws 4 a Cure accept applications from owners of dogs fighting cancer. If your pet is suffering from a serious ailment, such as cancer, epilepsy or a heart condition, ask if your vet knows of any condition-specific grants and research. Please note that it is perfectly fine to apply for grants or loans from multiple organizations. This is particularly applicable if your pet is a service or working canine, or any type of assistance dog. Organizations are overtly motivated to help individuals that heavily rely on their animals, such as guide or seizure dogs, or pets that emotionally support children with autism. Dogs that are retired members of a K9 unit, search-and-rescue relief, bomb squads, or involved in military service who may now be suffering from ailments as a result of their commitments are especially prone to receive financial aid. If this describes your situation, look into Washington D.C. based Paws of Honor organization, or reach out to any vet-care assistance program and emphasize valiant career history of the dog. Next articleDog Winter Coats: Do They Actually Help Our Pets Stay Warm?